I wrote an article a couple years ago about girls and functional performance training called Growing Up Strong. 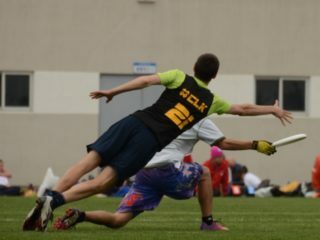 I want to follow it up now with some training-focused strategies for creating an awesome athletic team culture for mixed ultimate, specifically at the youth level (though adult mixed teams will hopefully get some ideas as well). RenFitness coaches work with a bunch of teams and organizations at all levels and ages around the country and the world. We have a constantly widening perspective and we’ve learned a lot about how gender issues influence the success and cohesion of mixed youth teams. To clarify: when I use the term “girls”, I’m referring to those who self-identify as girls or women, regardless of assigned gender at birth. Mixed ultimate creates great opportunities for girls! 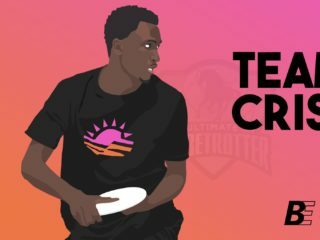 It’s often difficult to get enough girls together from a school or area to create a single gender team, and many girls (and women, too) prefer to play mixed ultimate for a variety of reasons. But there are challenges in a mixed environment as well, some of which can turn girls away from ultimate or at least away from coed opportunities. In this article, I’ll be diving into three big issues I’ve witnessed and been told about, and then making some training-focused and bigger-picture suggestions for dealing with these challenges. I know that many coaches already use a lot of these strategies, and I’m hoping to generate sharing and discussion on this topic! If you’ve used any of these strategies successfully, I encourage you to share a story below in the comments. If you’ve got questions about the issues, let’s discuss those too. Trust me when I say that focusing attention on shifting team and community culture is not training time lost– it’s actually tilling the soil in which awesome athletic practices grow and flourish. Issue #1: Girls are guilty until proven innocent. They’re not expected to be athletic or know how to throw and catch, and even after they prove themselves in multiple situations, they still have to fight to been seen by their male counterparts. Boys, on the other hand, are assumed to be athletic and possess skill, and it takes multiple errors before they go down in a player’s estimation. Make sure girls are contributing in high-pressure situations. Often girls play key roles until it’s game point, or universe, or the game-to-go. Then the play regresses to boys passing to boys. Coaches in a competitive mindset might not notice this shift, or might let it go in favor of what they think will win the game, but that’s a poor long-term strategy and very damaging to girls’ confidence and experience. Unless girls are depended upon in those key scenarios, they never develop the ability to act well under pressure and put the team on their back. It’s a self-fulfilling prophecy, but it can be shifted! Try this: First of all, look at your stat sheet and notice if there are patterns that demonstrate this problem. (Sidenote: if you’re not tracking playing time and are having issues between gender groups, start doing it.) If so, address it in practice as much as possible. Create situations of heightened tension (have the sideline be extra loud, get more physical on defense, etc.) and encourage girls to compete. When a girl takes a risk and steps up, make sure she’s recognized for it, even if the result isn’t a goal or a block because the next one might be! Enforce numbers on the field and strategies that use your girls’ strengths. This has to go a bit beyond making sure there are 2-3 girls on the line. It’s far too easy for those girls to be on the field, but completely outside the sphere of influence while boys pass to each other, or for boys to assume that girls can’t huck or layout. Alex Davis wrote a great article on how difficult it is to truly shift one’s perspective of gender, and offered awesome suggestions for changing habits. Try this: Games to 3 or endzone drills with an equity focus (a girl must either throw or catch the goal, boys and girls must touch the disc an equal number of times, etc). Put girls in leadership roles. You can’t be what you can’t see – put a couple of your more senior girls in charge of warm up, or ask them to lead some of the drills. Have them call lines and plays. Both boys and girls will benefit from seeing girls be confident, strong and trusted by coaches. Issue #2: Social interactions are complex in a mixed environment. High school is, well, high school. Often, kids band together into male and female camps. In some cases this can be channeled for good, but if the two halves of your team don’t know how to interact, on-field play and team culture are going to be a mess. Support healthy body image. Nutrition information and self-care are oft-neglected topics on youth teams. When asked to work with a group, RenFtiness coaches often add these areas to the conversation and training (rather than focusing solely on strength and conditioning) because they’re so foundational to athleticism. Giving boys and girls the same messages about these topics is an important part of building a cohesive athletic team culture. Be aware that the gender groups within teams might interpret these guidelines differently. For example, girls might not be eating enough out of fear of bulking up, when they actually desperately need the fuel in order to perform. Also, girls are much more likely than boys to receive compliments about their appearance before being noticed for their athletic ability. Whenever you can, try to shift that balance, and encourage the kids to do the same. Try this: If you want an easy-to-digest guide to nutrition for sport, I like this one. If practice is super hot and you allow boys to take off their shirts, make sure that girls know it’s okay to play in a sports bra. When a girl at CUT Camp Portland timidly asked me if it’d be okay to strip down, I immediately said yes, and offered to wear my sports bra as well in solidarity (honestly not a big problem for me, as those who know me can attest). When I started leading afternoon warmup, I mentioned to the group as a whole that it was very hot and some people might feel more comfortable without a shirt on and that those people should do what felt right and no one should give anyone crap about it. Create girls-only opportunities for learning. Girls tend to desire a greater degree of mastery before they feel comfortable being assertive on the field. I see the same thing in my work in the gym: girls often are constrained by a desire to perform movements perfectly, which can lead to being uncomfortable taking chances or struggling to improve. One way to help them gain comfort is to provide a single-gender learning environment with the express purpose of getting them comfortable with trying and failing and getting better. It’s also important for boys to understand why girls might need these opportunities. If you’ve created a supportive environment, you might find that the boys will be helpful, respectful, and supportive during these activities. Try this: Get your group into the gym with a strength and conditioning coach to learn how to lift and manage self-care. Make sure the person leading the sessions is comfortable treating girls as athletes and will create a supportive environment for learning. Also, consider having single-gender pod workouts sometimes instead of full-team practices, giving girls lots of time to work on skills and strategies. Create small peer support groups within the team structure. 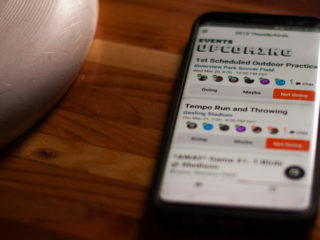 Having people to check in with during practices and tournaments is an incredibly helpful tool. Sockeye has seen great success with these groups. You really get to know how to best support your teammates, and also learn how to get the kind of support that works best for you. These groups don’t need to be separated along gender lines, but they should be respectful of comfort levels. You’ll want to link up people who can work well together, but who aren’t all best friends already. These groups, as well as huddle talk using mood meters or other check-in tools, are powerful ways of unpacking our society’s ideas around emotions in relation to sport. There’s a lot of self-knowledge and team cohesion to be gained here! Issue #3: The problems discussed above are often not seen as problems, but as real-world realities that girls must either learn to accept or somehow step outside. We have the power as teammates and coaches to do concrete things to make girls’ athletic experience better, but to some extent, many of us believe we’re fighting a losing battle. There are a lot of societal messages about female athletes that are dismissive and damning and both genders start internalizing these at an early age. Some think that in order to be viewed as an athlete and feel comfortable on a team, girls have to play single-gender ultimate or play another sport. Prioritize gender equity discussions. I saw some major light bulbs go off at CUT Camp during the breakout session on this topic. 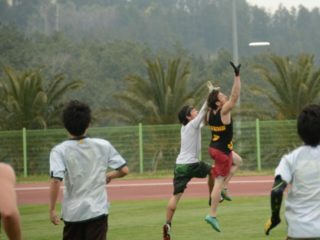 Most of the boys had never considered that girls and women were only able to compete in one of the three ultimate organizations in this country (the AUDL and MLU, while they sometimes showcase women’s ultimate, do not have mixed or women’s teams). A lot of the boys had never seen high level women’s play, and ooo’d and ahh’d and shouted during the screening of the All-Star Ultimate Tour documentary (they also enjoyed the live All-Star game we attended). When prompted to reflect on their own experience with gender inequity, they had wonderful things to contribute. One of the boys actually pointed out something that’s become a point in this article: that girls are often not put on the field in high pressure situations. The group definitely left with a different perspective. This was a 90-minute session. 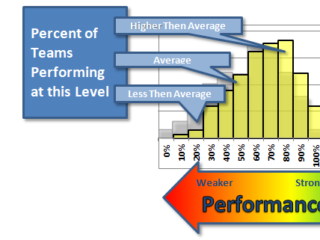 Devoting a portion of an early-season practice to something like this can have a huge impact on your team’s season. Try this: During the discussion, help the kids create gender-neutral cues to use in drills, or words that will remind them of the big picture. An example is something like, “find the open person” to encourage them to see the field and everyone on it. And if we can all start using “person defense” instead of “man defense,” that would be totally awesome. Level the playing field at every opportunity. Equity is different from equality. Equity means providing marginalized groups the support they need to access an opportunity, not just opening the opportunity to everyone and leaving it at that. One-fifth of the kids who attended CUT camp were girls, and a lot of them were local players there on scholarships. The organizers prioritized creating a mixed ultimate environment and wanted the girls to feel comfortable competing. It worked! Money isn’t the answer to everything, but it certainly is helpful. Also, make sure girls have ways to contribute and succeed on offense and defense that don’t rely on them being the fastest or tallest person on the field (even if they are)! Try this: Have some of your conditioning drills be time-based instead of rep-focused, and emphasize good form over fast times. Notice and vocalize when a girl is doing something athletically great, like holding a plank longer than everybody else or makes a great turn in a suicide drill. Share your success stories. I saw an incredible Facebook post from my friend Taylor, who was one of the coaches of the Seattle YCC U19 mixed team this year. She spoke passionately about how proud she was of this team, which was committed to having four girls on offense downfield and playing with great spirit. She talked eloquently about the journey the boys on that team embarked on, and how close and trusting the team became. Check out her full post! I encourage people to use the comment section below to share strategies and drills they’ve used or have been a part of that have helped encourage gender equity in a mixed environment. The more girls are treated as equals in our sport, the more supported and involved they will be in shaping its future – now that’s a vision I’m excited about!